a. How can I place my order? II. Click the basket you will find in the upper right corner of the site. IV. Now you are in, you can choose the products you need. You can choose by type of garment, by collection, or even by searching directly by name of product or code in the search engine. 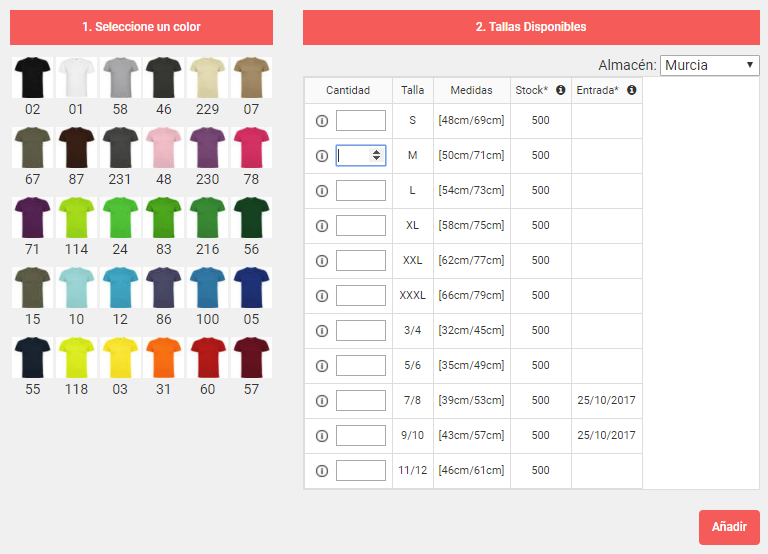 V. Choose the product and color you need, and then you can choose the quantity per size. VII. 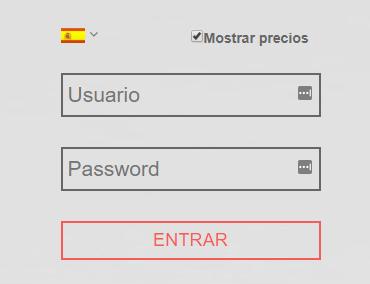 The articles will be added to the cart and you will be able to click in BUY to continue the next step of your order. IX. Check your delivery and invoice address. In case you need any modification, please write the correct delivery address in the “Comments” box. XII. Your order will have been sent successfully. You will receive a confirmation email with the placed order. b. How can I get free transport? Free transport cost depends on the order placed, warehouse for the preparation and the destination of the goods. Check with your sales person about the freight charges for the delivery address of your order. c.	I cannot finish my order. What´s happening? Sometimes the webshop does not allow you to finish your order when you have selected more than 100 references. In this case, you must order 100 references first and continue in a second order. You can indicate that it is the same order by typing the appropriate annotations in the space "Comments" at the end of your order. Your sales person will be in charge of grouping it if necessary. If you continue having this problem, please contact your sales person. d.	How long is the process of the orders? The management of your order is practically immediate. If you place your order at opening hours, the order will be processed in the moment the person in charge of your account receives it. If the order has been received by your sales person before 11am, our warehouse will prepare the goods and that afternoon your order will be sent (except in circumstances of force majeure). In case the order is received after 11am, our warehouse will prepare the goods that night and the order will be sent the day after its reception and processing. e.	What emails can I receive when I place an online order? • Order Confirmation: You will receive an email once your online order has been successfully completed. • Confirmation of reception: You will receive an email once your order has been received correctly and is being processed for preparation by the person in charge of your account. • Confirmation of preparation: You will receive an email once your order has been processed and we start to prepare it. 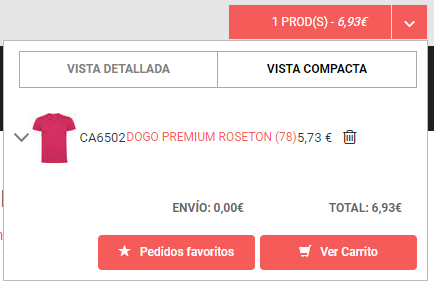 f.	Can I place my order in a different way and not through the web shop? We have a commerce application for iOS (Apple) and Android (Google), but it is not possible to process orders by phone, fax and by email either. a. Can I change my order? Because of our fast order processing, it is not possible to change or cancel an order after confirming it through the webshop. Please check your order before sending it. b. Can I add a new order to an existing order? Due to our fast processing, preparation and automatic coordination between our warehouse and transport agencies, once your order is processed, it will be managed as an expedition, the transport label corresponding to the tracking number will have already been generated and it will not be possible to add new items on such shipment. a. Do you ship abroad? / Where you can ship? We ship worldwide. Please consult with your sales person the country in which you are or would like to make the shipment and we will inform you with pleasure. b. How much do I have to pay for the shipment? Once you place your order online you can see the shipping cost. If not, consult your sales person. You will receive the proforma invoice with the cost of transport adapted to your order. c.	Can you send my order to a different address than the one I have registered in my client account? Of course, we can send your order to the addresses that you indicate us. When placing your order, in the "Comments" section before finishing your order, you can write the address where you want to send. In your next order you will have a tab to select the addresses you have registered. 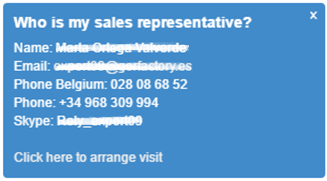 To create a new address just indicate it in Comments or to your sales person. d.	When will I receive my order? It will depend on the destination address. Generally, all orders shipped to Europe are delivered within 3-5 following business days from your order by our webshop. e.	Where is my order? In order to track your order, know at any time where it is and approximate delivery date, you will receive an email that is sent at the end of the preparation of the order. In that email you will receive the tracking number of the order, transport agency, as well as a link to the website of this agency to check the status. a. How can I pay? • Credit cards at the moment you finish your online order. • Bank transfer to the bank details that you will find at the end of the Proforma Invoice document you receive when you finish order. b. Can I pay with a different currency than Euro? Yes, you can make your payments in US Dollars (USD) and British Pounds (GBP), apart from Euro (EUR) of course. Communicate your sales person so we can assign your price list in the currency you need and prepare your client account to work in another currency. It will not be possible to place orders in several currencies, this means that once we assign a currency in your client account, we will keep it for all your activities with Roly. a. How can I check the stock availability in an article? In order to check the availability of an article, look for the article in the webshop and select the color you need. You will find a chart with different columns and data. In this chart you will see the "Current Stock" and also the "Next Entry" date of that item in our warehouse. In case of no stock, you will see a small red envelope. Click on it to activate the item availability notification. In this way you will receive an email when we receive the goods and become available again. a. How do I communicate with customer service? 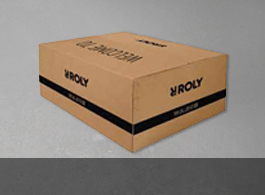 To contact the person in charge of your client account, you can call us at the phone (+34) 968 30 99 94, or send us an email directly to the contact details that you will find in the lower right corner of Roly's web shop. On the other hand, you can click on "Send us an email" on the bottom menu of the page.